The following 24 hour general radio training courses are for potential 3CR programmers only. Interested in becoming a 3CR volunteer? Details here. They cover all aspects of being a broadcaster at 3CR. The fees are $145 concession and $295 waged. 3CR offers tailored radio training to community groups. Content covered is similar to the 3CR broadcasters training, however if your group wishes to focus on certain aspects of radio training such as audio editing, interviewing skills or making podcasts, we can build this in to the course design. These courses are generally supported by government or philanthropic funding. The cost varies depending on numbers of participants and the course length. East Timorese special visit training. Radio training for YarraBug cyclists. A radio and podcasting tour course for Carlton Housing Estate residents. Outloud Not Outcast Project for young queer people. Transit Lounge Project for young homeless people. In My Own Words project which trained 84 young Vietnamese women from High schools across Melbourne to create their own radio show. An Outworker course for Vietnamese women who work as outworkers. Many of the participants go on to launch a new radio program on 3CR. Contact the Projects Coordinator or call 9419 8377. 3CR can supply tailored courses for your organisation or staff. Why media training skills at 3CR? Most of our trainers are actively engaged with the media both as producers and spokespeople. 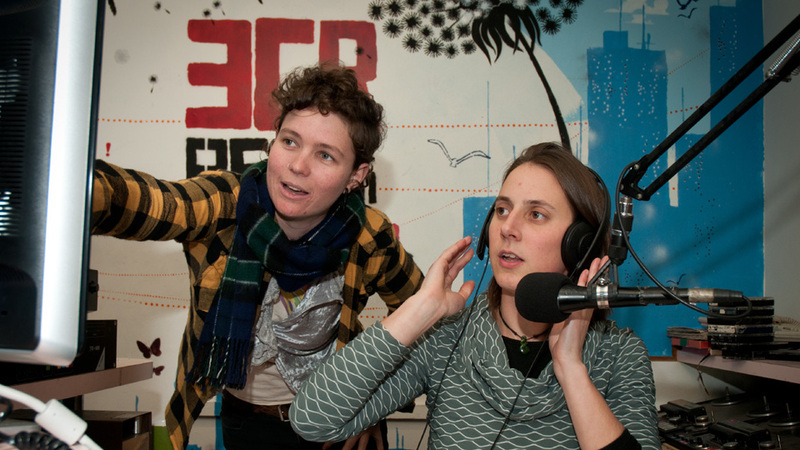 On site radio studios give participants the opportunity to immediately practice their skills. 3CR trainers come from a diverse background of cultures, communities and activist movements. We have broadcasters from Aboriginal, queer, culturally and linguistically diverse backgrounds and many women. Media skills workshops are tailored specifically to the particular group. Training is conducted in a supportive and productive environment. Workshops can be arranged for small or large groups and in working hours or after hours. 3CR charges at a highly competitive price. Interview skills - conducting and giving interviews for print and radio. Including interviewee skills and approaches, interview techniques, scripting and preparing answers, question and answer delivery, reinforcing key messages, dealing with difficult questions. Voice and microphone technique for radio interviews - voice warm up techniques, interview requirements for radio, microphone technique. Media - survey of local and international media, what the media is seeking, writing press releases, making contact with the media and government bodies. Enquiries and requests for quotes, please contact the Projects Coordinator or call the station on 9419 8377.